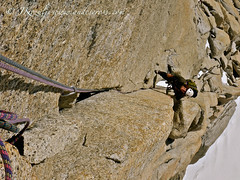 Advanced rock climbers able to follow 5.10/ 60/70º ice climbs. 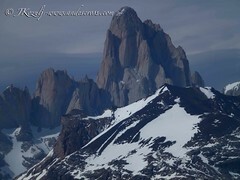 This expedition is a alpine climbing trip in Southern Patagonia. The Aguja Guillaumet is a satellite spire of the Fitz Roy Massif. 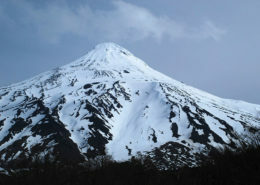 It takes its name from Henri Guillaumet, a French pilot who flew his small postal plane to small towns of Patagonia crossing the high Andes. Along with Antoine de Saint-Exupery and Jean Mermoz, he established the first mail routes in remote areas around the world. 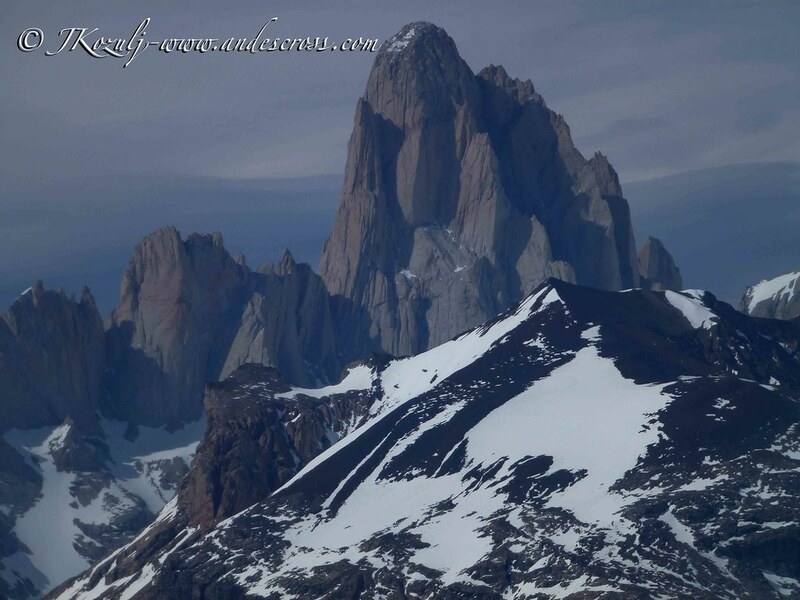 Leaving El Chalten with your climbing guide, we hike 3 hours to Piedra del Fraile. 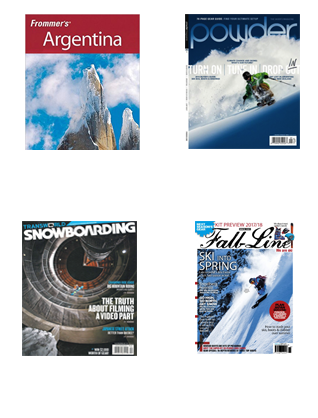 This will be our basecamp. 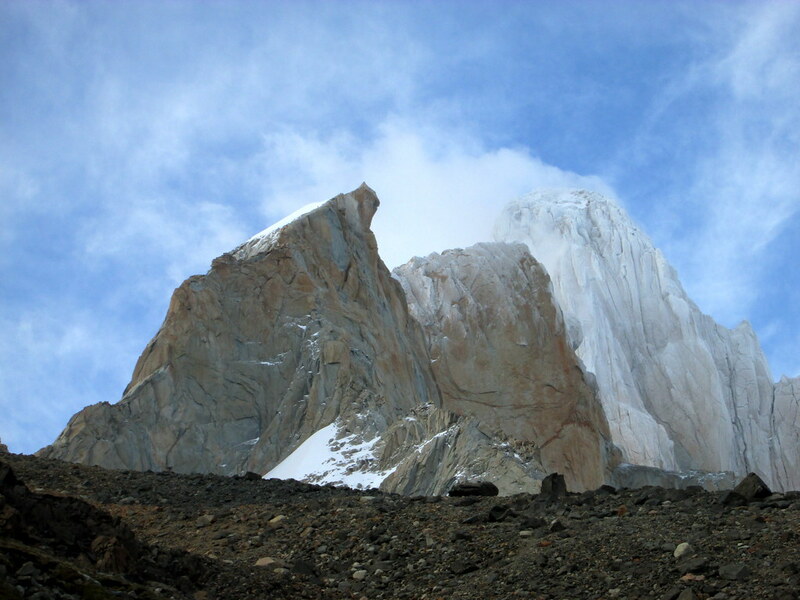 Weather permitting, we will continue on closer to the base of the Guillaumet Spire and carry our gear load to Camp I, Vivac Piedra Negra. 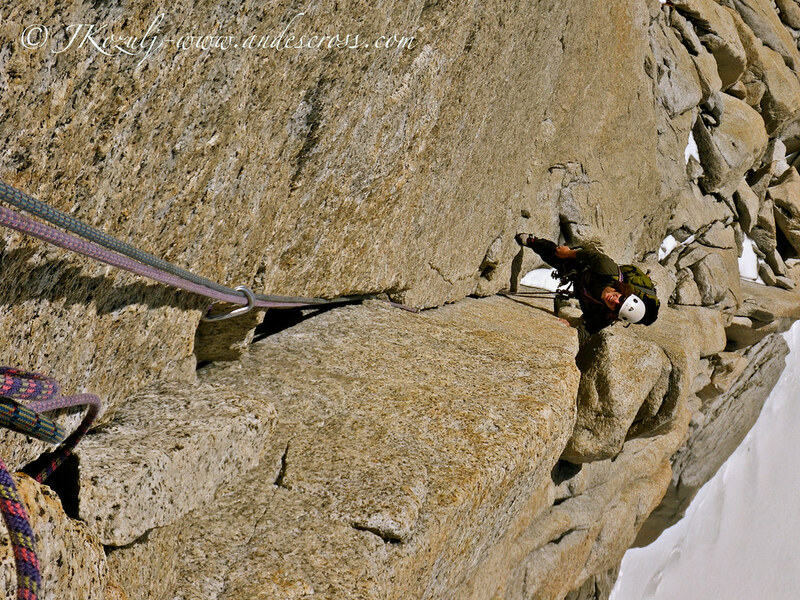 Your mountain guide will get you up for alpine start to climb the Guillaumet Spire by the Amy route: 4 pitches 60-70º snow/ice culoir + 4 pitches of 5.9 alpine climbing. OR, climb the Brenner route on the Espolon Dorado (Golden Spur): amazing granite climb of 5.10+ for just one pitch and the rest 5.6 to 5.9 with some mixed scrambling involved. 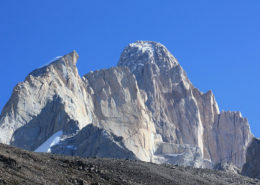 Bring loads down to Base Camp and El Chalten. Celebratory meal at the end of the expedition with a typical Patagonian asado. Weather days. 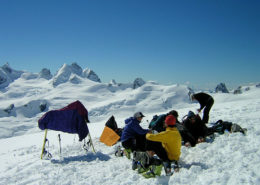 End of guiding services. 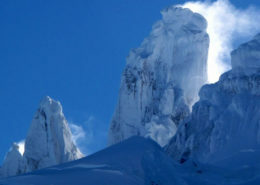 *This itinerary is a guideline and must be flexible to Patagonia’s infamous weather. 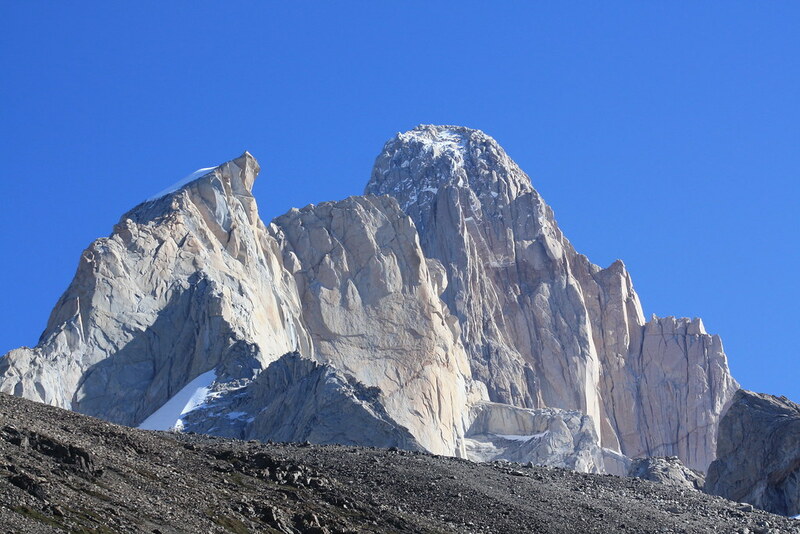 Hike to Marconi Pass, which is the entrance to the Patagonian Ice Cap. 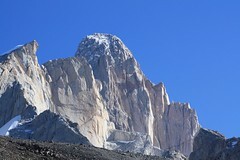 Bouldering and Sport Climbing near El Chalten. Hike to Cerro Torre and Fitz Roy base camp. 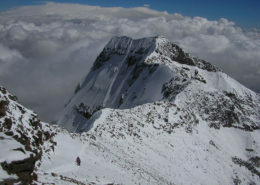 Your mountain guide will have numerous other ideas for activities to explore such as trekking through the Glaciers National Park or going on a technical trek. If the weather is good and you complete the climbing ascent of Guillaumet within the first few days, your mountain guide can take you to climb more spires or suggest different activities for the rest of your vacation. 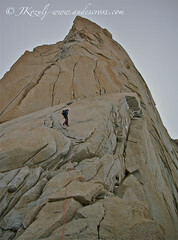 Personal gear such as boots, climbing shoes, sleeping bag.